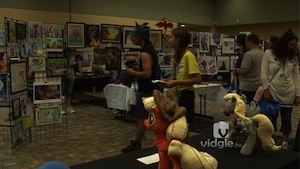 Vidgle - Tag Archive for "bronycon"
It’s time to take the portal home. Before we leave the land of Equestria, Jeff sums up his experience of his second BronyCon adventures! It’s time to make the magics! 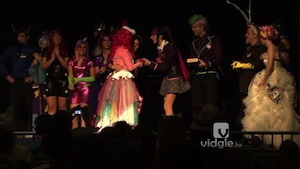 It’s time for the Cosplay Contest at BronyCon 2013! The portal from Equestria to our home in Manehattan has opened! 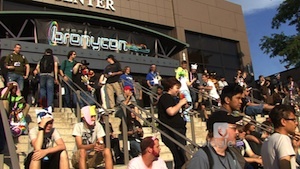 Before heading home, Jeff explores Sunday of BronyCon. It’s the big day of the largest brony convention, BronyCon. Jeff checks out how everypony is enjoying the annual My Little Pony: Friendship is Magic convention in Baltimore, MD. 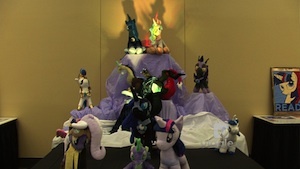 It’s part two of Jeff’s adventures of Friday at BronyCon 2013. Jeff is back at BronyCon, the largest convention celebrating the popular TV series, My Little Pony: Friendship is Magic. 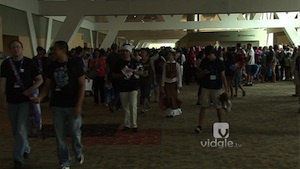 On this first part of Jeff’s adventure of Friday at BronyCon, Jeff will see how the bronies are enjoying the event at its new location, the Baltimore Convention Center in Baltimore, MD. Jeff discusses his first time experience of BronyCon Summer 2012. 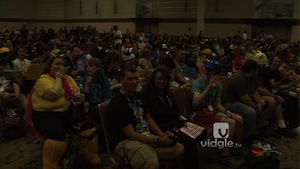 On this video essay, experience the sight and feel of BronyCon Summer 2012. 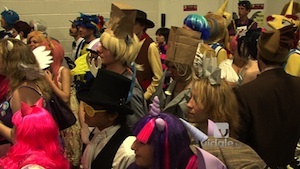 Watch the Costume Contest from BronyCon Summer 2012.